This article aims to educate you more on why there are 8 essential fatty acids required by the body as well as the 8 essential amino acids that we can easily become pre-occupied with. You shouldn't avoid fats. They are broken down into chemicals that your body needs. Resistance training can help burn fat because steroid hormones are derived from fats. 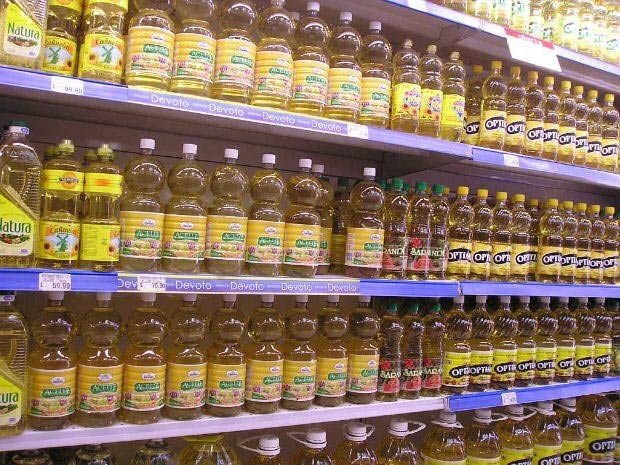 Getting in the essential fats you need is really very simple to do. This article aims to educate you more on why there are 8 essential fatty acids required by the body as well as the 8 essential amino acids that we can easily become pre-occupied with. Conversely, there are no essential carbohydrates, it seems the carbohydrates we really need supply us with the minerals and vitamins to support healthy cellular processes within us. The essential fatty acids are 'essential' and support our hormone system, reading this article will tell you which ones are synthesized from the essential amino acids (Protein) and which ones are synthesized from fatty acids (good fats) as well as which type of hormones are the strongest. Just Like They Sound, Essential. Usually whenever you hear the 'F' word we instantly run for cover. It is very easy to only concentrate on the Calorific value of fats, some 9Cals per gram compared to 4.2Cals per gram of Carbohydrate (CHO) and Protein (Pro). Thus trainers, clients and athletes will tend to steer clear of fat as it is associated with higher levels of body fat and many fatal diseases. Although fat has a role in coronary heart disease and such like, it is not necessarily the prime candidate as consuming too much CHO and Pro can also be converted into fats. 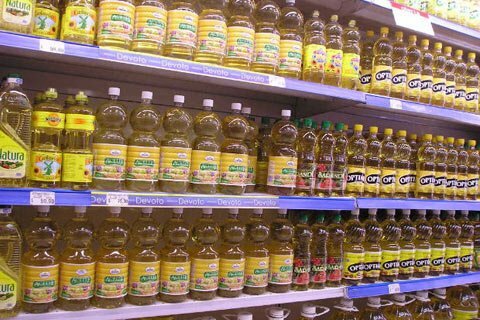 Although this argument is way beyond the scope of this article - I will address this issue at a later date - for now I want to discuss the benefits of fats in our diet. It can be said from reading this table then that steroid hormones exert their effect from 'inside' the cell and interact directly with the cell nucleus. While polypeptide hormones interact with the cell wall and rely on sending messengers inside. This can be compared to walking into the Boss's office, kicking the door down and holding him up by the neck and demanding your pay rise. Rather than, knocking on the door to the building your boss resides in and asking if someone could speak to his PA, who will then in turn, speak to him at some point in his busy schedule. This may go some way as to explain why Insulin and Growth Hormone (GH) are only anabolic in the presence of other substrates such as CHO or Pro. This also strongly suggests that polypeptide hormones are not as powerful as their brother Steroid hormones, or need to be released in much larger quantities for a longer period of time to exert the same level of effect. Testosterone and similar steroid hormones help to burn fat as a fuel source for metabolism, as well as directing amino acids into muscle cells; thereby decreasing fat mass while increasing lean tissue mass. This provides great data on why resistance training yields results in body fat measurements as well as in strength gains. Surely then, it seems plausible that without adequate levels of correct fats in our diet, hormone production could be slowed due to an inability to synthesize the correct hormone balance? In Less Body Fat As Well As More Muscle. 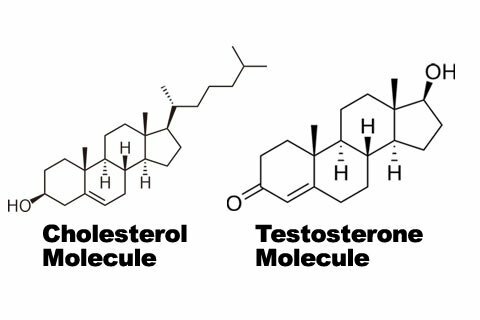 researchers looked at blood concentrations of free testosterone, testosterone and growth hormone (GH). As the joint Finnish/American researchers were interested in which anabolic hormones would be sensitive to dietary intake both at rest and after heavy resistance exercise. What they found was very surprising: During the resting phase of the study a higher fat intake and lower protein intake was associated with increased levels of anabolic hormones in both sedentary and trained subjects. During the active phase of the study however, the higher fat intake increased anabolic hormones in the trained subjects only. The results from this study make more of an argument for increasing the healthy fats in our client's diets further, as they are certainly in their training phase. This is especially prudent information as current diet and nutrition logic applies plenty of reasons to consume descent quantities of CHO and Pro, but not fats. In addition, where good fats are encouraged it's very common to find it limited to a coupe of small capsules a day or a portion of fish once or twice a week. In a forth coming article: why do we eat so much low fat food? I shall explore this issue in greater detail. In closing I would like to add that more research data is needed in regards to fats, hormones and their role in health/performance. However a very recent study showed that higher dietary fat seems to play a decisive role in the efficiency of growth hormone and in protein conservation.5 Again researchers found that this appears to be linked more with trained subjects rather than sedentary counterparts. May I suggest when next analysing your own diet or your client's food diary; have a closer look at the ratio of Pro, CHO and Fat content. It may explain a lot about their current progress and advancement on their training program. If you see a lack of healthy fats and plateau's in strength/performance and no body fat reduction, try increasing fish portions or mixed nuts to levels suggested in the table below or encourage supplements every day with breakfast. Whatever your intervention, I advise small steps of change and increasing the healthy fats whilst decreasing carbohydrates not protein! Healthy regards and all the best in functional training.